Salford Business School has teamed up with leading digital industry organisations to create a unique free online course to help businesses and individuals make the best use of web search and social media marketing. Designed by Master’s-level marketing students with input from Business School academics and industry experts, the series of educational videos now available cover topics including online personal branding, search engine optimisation (SEO), blogging and marketing through social media such as Twitter, LinkedIn and Facebook. 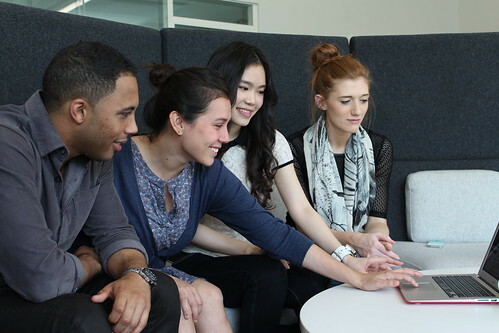 Pictured are the Master's students involved in the project (left to right): Left to right: Luis Santos, Maria Camila Villa Jurado, Vanessa Van Huynh and Rebecca Lee.